Del Close would have been 83 years old today. I think he’d be pretty happy. The new iO theatre building is attracting students and audiences from all over the world, and Charna is continuing to carry on his work. Long form improvisation is still growing in popularity every year, and has become accepted as a legitimate entertainment in its own right, and more than just a way to develop sketches (which was always his goal). There’s even a movie under way loosely based on his life. So happy birthday, my friend. You are indeed a gift that keeps on giving. This entry was posted in Improv, Uncategorized and tagged Del Close, iO, iO Chicago, iO improv, iO theatre on March 9, 2017 by howardjohnson1985. 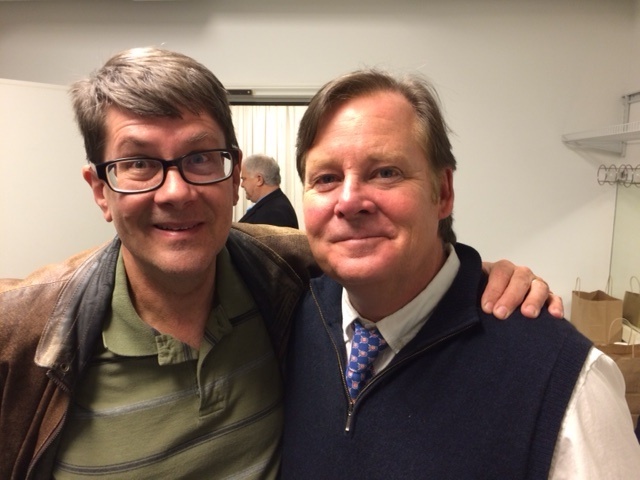 …Been too long since I hung out with Joel Murray, but every time I do, it’s like we’re right back at the Improv Olympic, waiting to jump on stage for Del at Crosscurrents. This entry was posted in Improv and tagged @joelmurray9of9, Improv Olympic, iO, iO Chicago, iO improv, iO theatre on October 19, 2015 by howardjohnson1985. It could have been a disastrous afternoon. 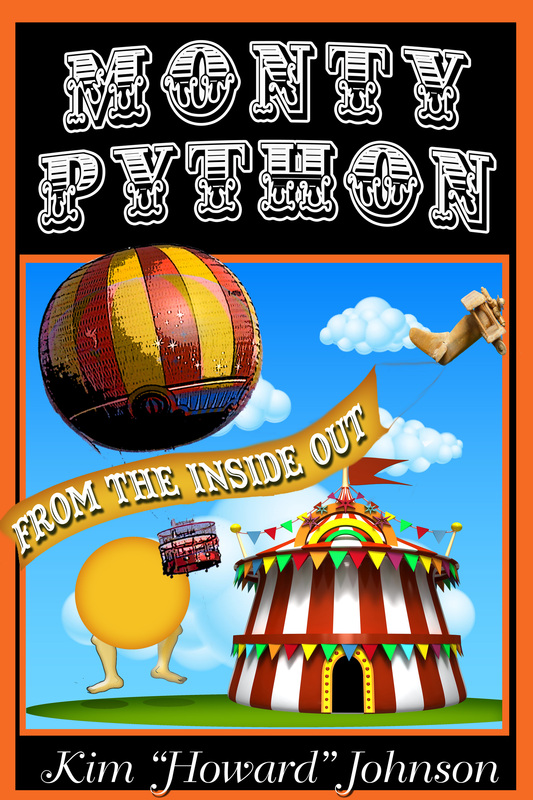 I was going to be teaching the very first PythonProv workshop at the iO Chicago, at the intersection of Monty Python and improvisation. I’m sure I was more nervous than my students. After all, how do you teach someone to improvise in the style of Monty Python? But then, even the Pythons don’t improvise. They are meticulous writers, but the only improvisation they do is in the writing room. So I had to wonder if I had bitten off more than I could chew, promising these students I could teach them how to improvise in the style of Monty Python. And as I headed to the theatre this morning, I further realized that these students were part of the iO’s annual summer intensive, so I would be facing students from all across the country who had never improvised together before. But when they started to arrive, I realized that I was wrong. True, they had never improvised together. But they were not from around the country. They were from around the world. So in addition to students from Pittsburgh and San Diego and Savannah, there were also students from England and Norway and Australia and Scotland. One of my students helped start the first improv group in Bulgaria! But then we got down to it. It reminded me of one of my early classes with my pal Del Close. Del didn’t always know how things were going to work, but with the Baron’s Barracudas and his other students as his lab rats, he managed to figure it out. And, more often than not, he was right. This time, I had a whole group of international lab rats to help me find our way through the process. We didn’t succeed with every scene, but more often than not, we managed to figure it out and learn how to keep improving. Even the students who weren’t as familiar with Monty Python were happy with the techniques they learned that could be applied to their more mainstream improvisation. And by the end of the three hours, they were doing some excellent work, and I was starting to see the pathway to developing real PythonProv for performance. And so, PythonProv is a thing, and not a disaster. Keep watching for more–I’ll be scheduling some full-length 8-week classes soon with the iO Chicago. This entry was posted in Uncategorized and tagged #montypython, Improv, improvisation, iO, iO Chicago, iO improv on July 19, 2015 by howardjohnson1985. For those of you who have been asking what some of my incredibly talented classes have been up to: well, this is what some of my incredibly talented classes have been up to. This entry was posted in Improv, Monty Python and tagged Improv, iO Chicago, iO improv, iO theatre, Monty Python on June 9, 2015 by howardjohnson1985. If you’re in the Chicago area, and love sketch comedy, your options used to be limited. Very limited. Like, say, Second City and the occasional group that had found an empty stage to play on. That’s changed over the years. Now, the newest theatre has opened their second revue, and you do not want to miss it. It’s called Undressed, by the same people who brought you Trap at The Mission Theatre, which is part of the iO Chicago theatre complex. I really enjoyed Trap. Undressed is even better. The seven-person ensemble has now been working together nearly nine months, and it shows. They have become very comfortable working with each other, and with their directors, David Pasquesi and TJ Jagodowski. Full disclosure: I have been lucky enough to know TJ for several years, and David for several decades. But even if I hadn’t, I’d still be recommending this show. So go. Now.You’re welcome. This entry was posted in Improv and tagged Improv, iO Chicago, iO improv, iO theatre on April 19, 2015 by howardjohnson1985. …Not many people who are improvising today know of the importance of Theodore J. Flicker, which is a shame. In fact, among his other many accomplishments, he was the director of the St. Louis Compass Players, directing Del Close, Mike Nichols, Elaine May, Nancy Ponder, and the rest of the cast. How important was he? Well, it was he and Elaine May who devised what are now known as the legendary Westminster Place Kitchen Rules, developed separately from Viola Spolin’s improv rules but just as important and influential. After each performance of the St. Louis Compass, Ted and Elaine would sit down to analyze what worked, what didn’t, and how it could be improved. Then the group would rehearse and put the rules into action each night in front of an audience. The rules that Del taught, from “Yes and…” on down, all came about from the work of Ted and Elaine. The list of his credits is very long (he co-created Barney Miller, for one). If you have a minute, imdb him and be impressed. And now Theodore J. Flicker (as Del always referred to him) is gone. If you improvise, you owe him more than you probably know. This entry was posted in Improv and tagged Compass Players, Del Close, Improv, improvisation, iO, iO improv, iO theatre, Theodore J. Flicker on September 14, 2014 by howardjohnson1985. This entry was posted in Uncategorized and tagged Chicago improv, Improv, improvisation, iO, iO improv on September 1, 2014 by howardjohnson1985. The final session of my first iO writing class wrapped up last night with a staged reading of a half-hour show we cobbled together from the various sketches the students have been writing and co-writing in the same process that the Pythons used to put together their shows. It went even better than I had hoped, especially considering the degree of difficulty involved. It occurred to me that we managed to do in four three-hour sessions what would normally require twice as many sessions. But despite the breakneck pace, they acquitted themselves very well. Although it would have been nice to have a bit more time for polish, they were amazing, especially considering that four weeks ago, none of them knew each other, but managed to collaborate enough to produce a half-hour program. But even the short schedule, I think, was beneficial. As I told them last night, most writers have virtually their whole life to come up with and polish their first portfolio of sketches or their first TV spec script. But if they get hired, they often have one week to produce their second one. There’s not a lot of ways to train for that. Hopefully, my students are a little better equipped than they were four weeks ago. We even had time to watch the very first episode ever filmed of Monty Python’s Flying Circus, to give them some ideas about sequencing sketches, so I decided to post one that got a lot of laughs. Enjoy. This entry was posted in Monty Python, Uncategorized and tagged iO, iO Chicago, iO improv, Monty Python, Monty Python's Flying Circus, TV writing on February 11, 2014 by howardjohnson1985.